Ini adalah selongsong rokok (filter tube) yang compact (kecil) Dengan sistem ini anda akan mengurangi rokok anda sebanyak 25% karena selongsong rokok ini mengurangi kapasitas tembakau yang diperlukan untuk mengisinya. Their filter is longer (18 mm) and slimmer (7,2 mm in diameter) than filters of classic tubes. Therefore they allow to save more than 25 % of tobacco.One tube has a total length of 80 mm. Their filter is longer (18 mm) and slimmer (7,2 mm in diameter) than filters of classic tubes. Therefore they allow to save more than 25 % of tobacco. One tube has a total length of 80 mm. 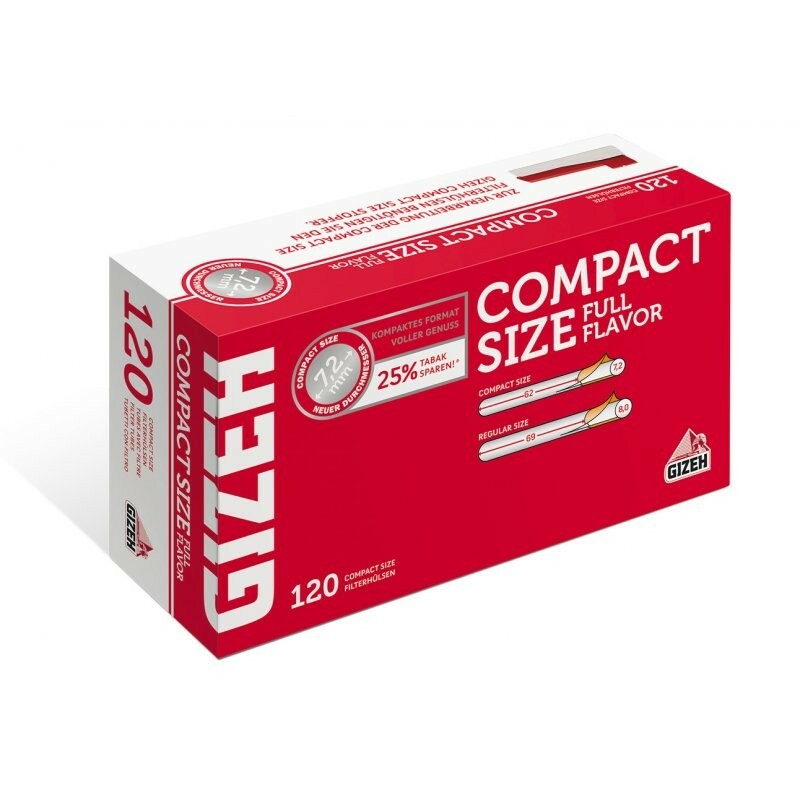 Simply fill it with your favourite tobacco and enjoy - ideally by using the Gizeh Compact Size Filling Machine! One box contains 120 tubes.